The Sock-It -To-Me competition is on. 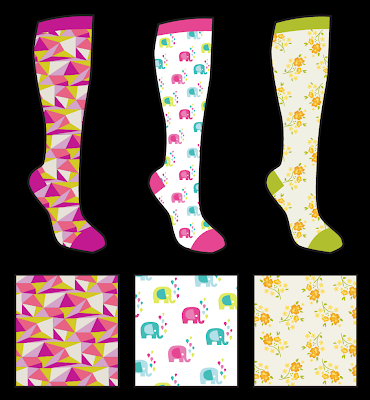 If you haven't heard of it before, it's an annual sock designing competition open to anyone and everyone - YAY! Entries have now closed but if you would like to get a say in what type of socks you want to wear, have a look at the finalists and be part of the judging here! too bad that you aren't in!! your creations are amazing, especially the little elephants and the flowers ones, but I love all of them! I've tried to enter too and I'm not a finalist either! Let's try the next year!! I LOVE the elephant ones, I am a little surprised that they aren't in the final - the ones that are are no-where near the quality of these. I get the impression they didn't pick any designs from actual designers?